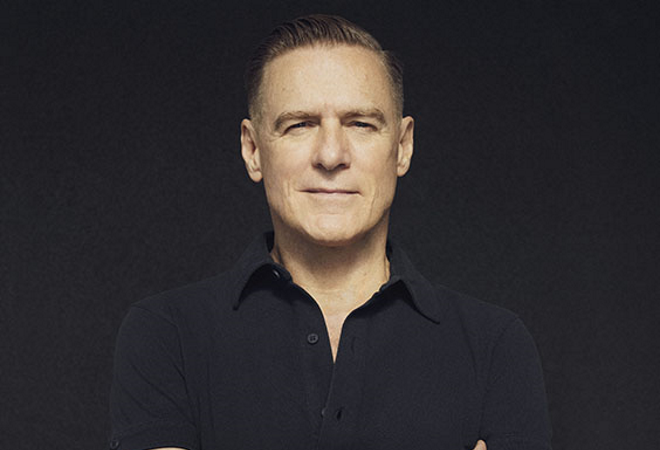 Bryan Adams will hit the road across the UK & Ireland with his Shine A Light Tour in February/March 2019. The legendary singer-songwriter will head out on tour next year in support of his soon to be announced forthcoming album. The multi-platinum recording artist has experienced a hugely successful career spanning four decades. On tour next year fans can expect to hear all the biggest hits from his impressive back catalogue including ‘(Everything I Do) I Do It For You’, ‘Summer Of ’69’ and his Rod Stewart and Sting collaboration ‘All for Love’. The Canadian icon has achieved a string of No.1 songs in over 40 different countries and sold over 65 million records worldwide. His long list of music accolades includes numerous Juno Awards, three Academy Awards, a Grammy, American Music Awards and ASCAP Film and Television Music Awards. He has also been inducted into the Canadian Music Hall of Fame and Canada’s Walk of Fame. Bryan Adams love for performing has given him a unique take on live shows, transforming him into one of the best rock singers of our time. Get ready to secure your seats because you do not want to miss out on the chance to see him live on tour in 2019!